Los Angeles, February 23: John Krasinski is set to return to direct the yet untitled sequel to horror hit A Quiet Place. According to Variety, Emily Blunt, Noah Jupe, and Millicent Simmonds are in talks to reprise their roles in the Paramount project. "Time to go back. #PartII 5-15-20," Karsinski wrote on Instagram alongside a picture of the red lights that became synonymous with the alien threats in the first film. "A Quiet Place" grossed USD 340 million at the worldwide box office last year. Krasinski penned the screenplay with Bryan Woods and Scott Beck and the trio has received a Writers Guild nomination in the original category. 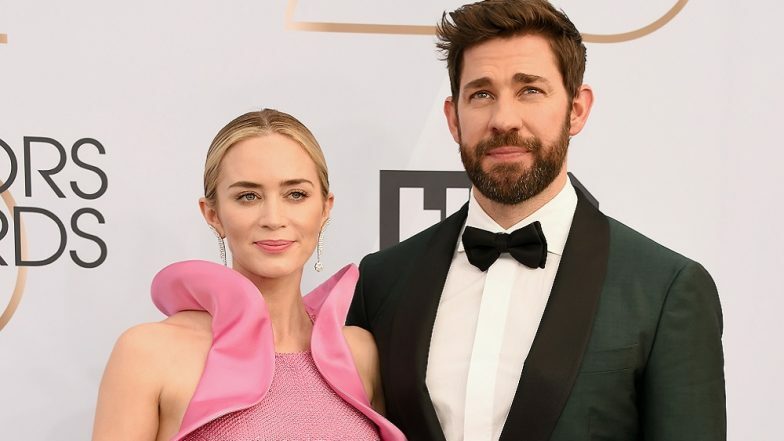 John Krasinski Legit Had Tears Of Joy As Wife Emily Blunt Won Best Supporting Actress For 'A Quiet Place' At The SAG Awards 2019 - Watch The Cute Video!